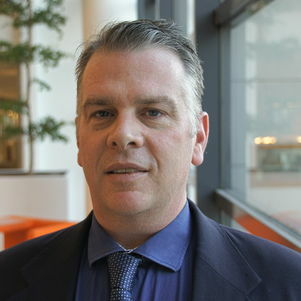 Scott Cunningham earned degrees in engineering and policy from the Georgia Institute of Technology and the Science Policy Research Unit (SPRU) of the University of Sussex. While working in industry he worked for companies both large and small in the fields of knowledge discovery and data mining. His experiences included earning six national and international patents for his knowledge discovery work, and participating in successful startups in the Bay Area of California. He is currently an associate editor of the journal Technological Forecasting and Social Change. Cunningham, S. W. and J. H. Kwakkel (2016). Tech mining for Engineering Managers. New York: Momentum Press. Cunningham, S. W. and C. Werker (2012). Proximity and collaboration in European nanotechnology. Papers in Regional Science, 91(4): 723-724. Roper, A. T., Cunningham, S. W., Porter, A. L., Mason, T. W., Rossini, F. A. and J. Banks (2010). Forecasting and Management of Technology, Second Edition. Hoboken, NJ: John Wiley & Sons. Porter, A. L. and S. W. Cunningham (2004). Tech Mining. Hoboken, NJ: John Wiley & Sons. Technology Futures Analysis Methods Working Group (2004). Technology futures analysis: Toward integration of the field and new methods, Technological Forecasting and Social Change, 71(3): 287-303. Scott teaches a course on Data Science for the Engineering and Policy Analysis (EPA) MSc degree. He also teaches courses on text mining and text analysis for the edX platform. He also teaches actor and strategy models for the EPA degree, and courses on network analysis and market design for the Complex Systems Engineering and Management (CoSEM) MSc degree. Scott is a member of the BYTE Project, the largest European Commission project to date to investigate the social, economic and legal implications of Big Data. This is an FP7 project funded by DG Connect. He leads the foresight activities for the project.